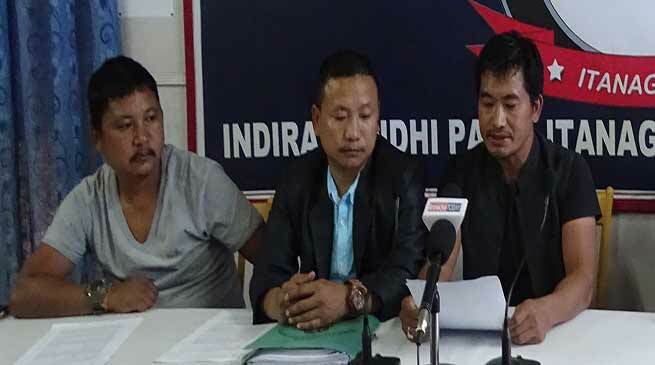 A conglomeration of organisation under the banner of Arunachal Peace Committee (APC) while denouncing the proposed 12 hour capital bandh given by Abotani Clan Organisation (ATCO) on December 29 next has termed it as nothing but a harassment to common public. He called upon all stakeholders, Unions, Students organisations, CBOs, NGOs and other pressure groups not to get fooled by the tantrums created by any political parties which is using various organisations for their personal benefits. Convener, Giogi Talar while criticizing the ATCO for calling the bandh call as unwarranted has alleged such illegal move in the name of any clan or community with a scrupulous motive to gain cheap popularity should be condemned by all section of society . Requesting the ATCO executives members to refrain from such illegal activities, Talar said that in a democracy, everyone has a right to express reservations through democratic ways but sponsoring a bandh will serve no purpose except but will create only tension or economic loss to state. The committee urged ATCO to come ahead with all the original evidence or video footage ,which shows CM using the term ‘Dog’ to any particular person or community, which they said will send to experts to verify and examine to revel the truth.